Preserving and archiving geomatics data and atlases is a growing and unresolved problem. The Geomatics and Cartographic Research Centre at Carleton University has an ongoing interest in the more effective archiving and preservation of geospatial digital data and has actively participated in a number of forums to address this issue. The Cybercartographic Atlas of Antarctica (CAA) is a collaborative, scientific and innovative open source, open standard and interoperable distributed atlas that includes multimedia, multimodal and multisensory data. The CAA was part of an action research archival Case Study of the International Research on Permanent Authentic Records in Electronic Systems (InterPARES 2) Project. Archival issues in geomatics, the action research Case Study process, and results are discussed and reported upon in this chapter. 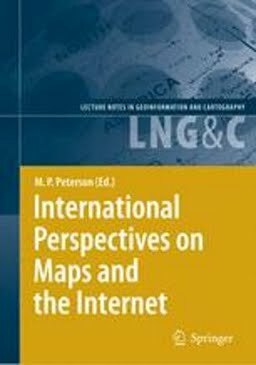 The chapter concludes with some recommendations and reflections on preserving and archiving Internet maps. The central argument is that today’s Internet mapmakers and cartographers must include preservation strategies at the point of creation not after the fact to ensure that their digital artifacts will be available to tomorrow’s users. If this is not done effectively much of our digital mapping heritage will continue to be lost.